According to data released earlier this year by China Customs, in 2018 Israel citrus exports to China increased 6.75% year-on year to 10,026 tons, with the value rising 7.95% to USD 14.6 million. This rise is not surprising given that the Israeli citrus industry has in recent years focused less on Europe and more on developing distant markets such as North America, China, Japan, and Korea. The reward for shipping such long distances is that Israeli citrus products can fetch higher prices with fewer competitors in the market compared to Europe. To better understand the performance of Israeli citrus in the China market, Produce Report interviewed Mr. Rafi Zuri, Citrus Product Manager at Galilee Export, the second largest exporter of fresh produce in Israel. The interview took place at Fruit Logistica 2019 held in Berlin on February 6-8. As a star citrus cultivar in Israel, the Orri mandarin is always unable to meet increasing global demand. 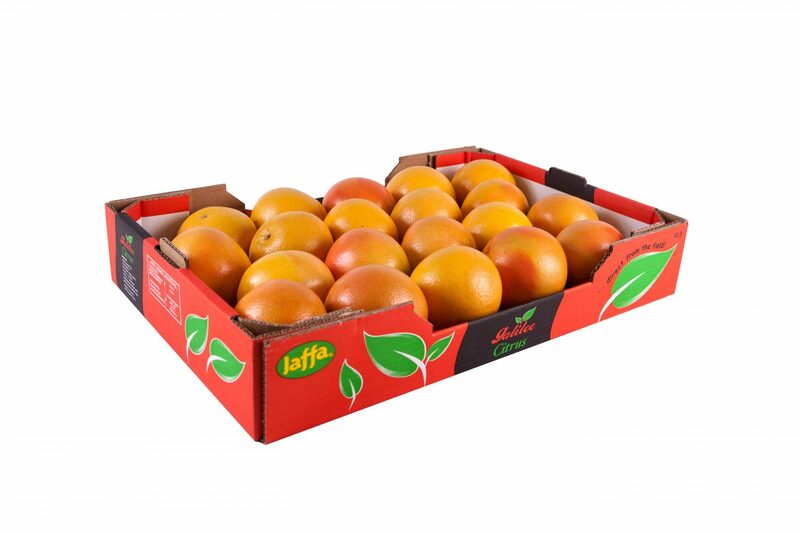 According to Mr. Zuri, around 500 tons of Orri under the Jaffa brand were exported to China in 2018. However, as China's domestic mandarin output has developed rapidly over the years, Rafi was not quite sure whether his company would still manage to bring this fruit to China in 2019. Zuri said that because mandarin production has exploded in China, Orri might only be able to capitalize on a period from late March to early April when China's own mandarin season comes to an end. A journey by sea of around 30 days from Israel to China poses another challenge in preserving Orri's excellent quality upon arrival. In comparison, Rafi was highly optimistic about the prospects for Israeli red-fleshed grapefruit and Sweetie (also known as oroblanco, a green-skinned pomelo-grapefruit hybrid) in China in the years to come. He said China's grapefruit plantation has been dominated by pomelo, leaving much untapped potential for the development of the premium grapefruit market. At present, the main grapefruit supplier to China is South Africa, the harvest season of which is different from that of Israel. Last year, around 5,000 tons of grapefruit and 3,000 tons of Sweetie went to China from Israel, according to Zuri. Although rainy weather is very likely to drive down the production volumes of both red grapefruit and Sweetie in 2019, Zuri believes their market outlook in China is still very promising in the long run. Another citrus product mentioned during the talk was Israeli Cara Cara oranges. The trade war between the world’s two largest economies has shrunk US orange exports to China, which has given other orange suppliers an opportunity to expand their market shares in China. Furthermore, Rafi thinks late season oranges are in relatively short supply in China, and that's good news for Israeli orange growers.